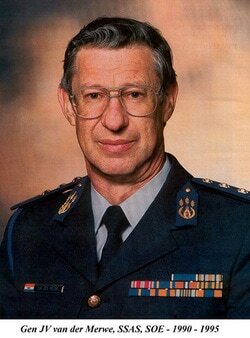 General Johan van der Merwe, former commissioner of the South African Police. More than two decades after political negotiations were started and the ANC, as well as other revolutionary organisations, ceased the armed struggle, there is still large scale confusion and ignorance regarding the nature of the violence that raged in South Africa from 1960 to 1990. The TRC, which unquestionably consisted overwhelmingly of ANC-supporters and sympathisers, laid the foundation for a propaganda onslaught in which the SABC and certain members of the media merrily took part. 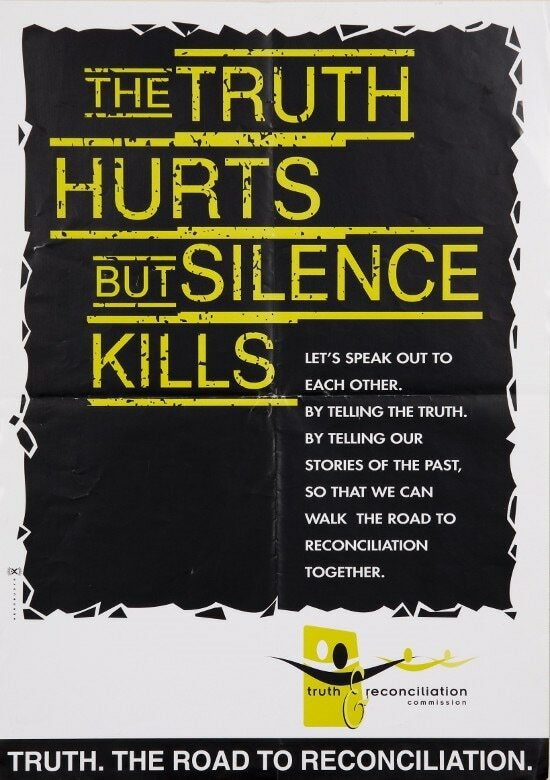 ​One example of the manner in which this propaganda campaign was conducted is the Special Assignment program about the conflict of the past, presented by the SABC on 18 November 2008. Examples of this type of propaganda appear in our Media daily and it is sad that certain Afrikaans newspapers, either due to ignorance or because of journalists with dubious motives, often take the lead. 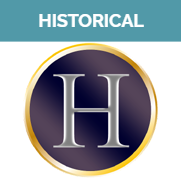 It is also a pity that Mr FW de Klerk and other former Ministers of the National Party do not feel obliged to rectify these skewed and distorted reports regarding the conflict of the past. For more than three decades the RSA was subjected to a fierce struggle filled with deeds of terror through which the ANC and other revolutionary organisations attempted to take over the Government. Members of the South African Police Force were regarded as ‘hard targets” and attacks on members and their families became a frequent event. Black members of the force, especially those living in black townships, lived under constant threat. In some areas black policemen had to be housed in tents in secure areas in order to safeguard them against attack from the ANC. From 1973 to 1990 more than 346 members of the force were killed in the revolutionary onslaught. With the exception of Barend Strydom, the so-called “Wit Wolf”, all of the other prisoners were released at the insistence of the ANC. These included persons who were serving long sentences for “necklace murders”. In so doing, the ANC clearly confirmed that the ‘necklace murder” was indeed a tool of the revolutionary struggle and was carried out to further their aims. The abhorrent deeds committed by some of these prisoners far exceeded anything that Eugene de Kock was involved with. 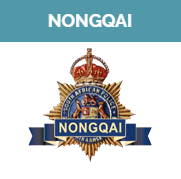 Members of the police force were deployed in both South West Africa (Namibia) and Rhodesia (Zimbabwe) in order to stem the revolutionary onslaught. The training of the police had to be drastically adapted to enable them to meet this task. This training also conflicted with classic policing methods where minimum force may be used and where the main objective is to bring charges against a suspect and to bring him before the court. Police work became a life or death struggle which hinged on the extermination of the enemy. The policeman was compelled to kill or be killed. The revolutionary struggle was seen as an East-West struggle both internally and externally and the Soviet Union’s involvement and support for the ANC added the element of Soviet expansionism. Members of the police force, particularly members of the Security Branch, were regularly exposed to the carnage and violence which resulted from this conflict. It was a regular tactic of the ANC to set up mines and explosive devices in such a way that the first explosion drew the police to the scene while the second mine or explosive device would explode some while afterwards with the aim of harming the police. Several members of the police force were brutally killed in this fashion. Members of the Security Branch were often at scenes where motorcar-bombs, landmines, limpet mines or other explosive devices had been detonated and their colleagues as well as defenceless people, including women and children, were blown apart and body-parts flung over a wide area, and had to help gather up the body-parts. This inevitably left an indelible impression on the minds of policemen on the scene which, in many cases, led to a hardening in their attitude towards members of revolutionary groups and their supporters. Vociferous statements by politicians that the ANC had to be wiped out roots and all, ambiguous instructions and the covert manner in which they were given created the impression that everything possible had to be done to wipe out the ANC. Due to all of these factors, it was impossible for the Security Branch to combat the ANC threat with the legal means at their disposal. The desperate situation which prevailed led to desperate measures. In these circumstances Mr PW Botha and other members of his cabinet themselves authorised or tacitly approved actions which fell outside the usual letter of the law. This inevitably led to members of the Security Branch, who were at the forefront of the struggle against terror, taking the law into their own hands. It is widely known that no power in the world has been able to combat large scale and well organised terror, which carries the express or tacit approval of the majority of the people of that country, by legal means. There are several examples to support this view and, without exception, powers who became involved in such revolutionary struggles had to resort to unconventional means to combat them. The war that Britain fought in Malaya is a case in point! South Africa was no exception since the police had to protect the population against the terror attacks of revolutionary organisations while the majority of the black population supported them, whether voluntarily or as a result of severe intimidation. That it was not committed out of personal malice, ill-will or spite. They had to make a full disclosure. These provisions of The Promotion of National Unity and Reconciliation Act made a mockery of the closing passages of the Interim Constitution which expressly determines that amnesty shall be granted in respect of any action or omission associated with a political objective and committed in the conflict of the past.. It is clear that Mr de Klerk and former ministers of the National Party, who were involved in drafting these provisions, did not have the foggiest idea of the conditions under which the security forces carried out these deeds or else they didn’t really care. The findings of the various amnesty committees were divergent and there were many shortcomings as Judge Andrew Wilson, Advocates Chris de Jager and Francis Bosman, as well as Mr Wynand Malan, who served on the amnesty committees, will immediately concede. The minority decision, delivered by Mr Wynand Malan in the Maponya case, serves as an excellent example of how some members of the amnesty committees erred in their judgement. Mr Malan’s minority judgement in the Maponya case can be found here. A striking pattern also becomes noticeable when one looks at the composition of those amnesty commissions where amnesty was denied to ex-members of the security branch and minority judgements were passed. Most probably the greatest shortcoming in the whole process was that no provision was ever made for some or other form of administrative revision. That meant that, where an amnesty committee reached an incorrect conclusion and amnesty was denied, the person who was denied amnesty had to approach the Supreme Court for an administrative revision. The legal costs in such cases can be enormous and amount to a million rand or more, which made it unaffordable to most ex-members of the Security Branch. Besides, the grounds on which a revision could be applied for were far more restrictive than in ordinary criminal cases. It was indeed a glaring injustice which ex-members of the Security Branch were subjected to! In the Motherwell amnesty trial, where amnesty was refused to the late Col Gideon Nieuwoudt and other former members of the Security Branch, Advocate Louis Visser and Mr Jan Wagener agreed to represent Brig du Toit and Col Nieuwoudt in their application for revision on a contingency basis. The application for a revision was heard by a Full Bench of Judges of the Cape Supreme Court on 23 November 2001. Judge Jeanette Traverso-Coetzee acted as presiding judge and was assisted by Judges Dennis Davies and Jerome Ngwenya. 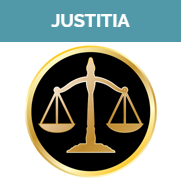 All three judges unanimously adjudged the findings of the amnesty committee in the case of Brig. du Toit and W/O Ras to be incorrect and set them aside. Judge Davis was of the opinion that the amnesty committee was correct in refusing Col Nieuwoudt’s application for amnesty. The other two judges, however, disagreed with him and set aside the findings in the case of Col Nieuwoudt as well. The Court ordered that a new amnesty hearing be held. In the subsequent amnesty trial, amnesty was granted to Brig. du Toit and W/O Ras but amnesty was refused in the case of Col Nieuwoudt. According to Adv Visser and Mr Wagener, the Amnesty Committee once again erred in their finding and they would once again recommended an application for revision.. However, Col Nieuwoudt passed away shortly thereafter. This means that such a process could carry on indefinitely. In the case of the PEBCO 3, where Col Deon Nieuwoudt, Capt Sakkie van Zyl and Sgt Johannes Koole were refused amnesty and subsequently charged with murder, application for revision was already made more than three years ago. This application has been delayed for more than three years by the Department of Justice who fail to give their answer. As a result the trial has been indefinitely postponed. ​“We are horrified and deeply distressed by the savage attack on the congregation at St James's Church, Kenilworth, yesterday evening. Not only is this a monstrous crime against humanity, but also a shameful desecration of a place of prayer and worship. This is the latest in a series of barbaric and vicious armed attacks that have taken place since the announcement of significant agreements at the World Trade Centre. This tragedy can only strengthen our belief that there are dark forces at work, determined to wreck all efforts to build peace and democracy in our country. We wish to express our deepest and most sincere sympathies with the families of the deceased in their grief. From the bottom of our hearts we wish them the strength and courage to endure a tragedy that goes beyond the personal and must affect our country as a whole. We call on the security forces to launch an immediate and urgent investigation into this terrible crime and to bring its perpetrators to justice. For the sake of all South Africans, it is absolutely crucial that the sinister forces behind these horrifying attacks are brought to book before they can do any more damage." -- Issued by Allan Boesak, Chairperson. ​"It should therefore not surprise anyone that targets like the St James Church, King Williams Town Golf Club, Heildeberg Tavern etc were selected. The leadership of the APLA takes full responsibility for all these operations. The APLA forces who carried out these operations followed the directives from their commanders and those directives were from the highest echelons of the military leadership. We do not therefore regret that such operations took place and there is therefore nothing to ask forgiveness for." It is striking that, while persons like Mr Jacques Pauw and other like-minded people insist vehemently at every opportunity that former members of the Security Branch must be prosecuted, they make no mention of cases like that of Mr Letlapa Mphahlele and the NEC of the ANC. During the said period, the ANC played the foremost role in the leadership of the struggle of the masses of our people for the end of the hateful system of apartheid, appropriately dubbed a crime against humanity by the international community. In the course of our people’s struggle, with the intent to induce the apartheid government of the National Party to abandon apartheid with its concomitant violent repression, and with the intent to achieve, bring about and promote fundamental political, social and economic changes in the Republic, the ANC, inter alia, established its military wing, UMKHONTO WE SIZWE, through which it prosecuted an armed struggle. At all material times UMKHONTO WE SIZWE operated under (the) political authority, direction and leadership of the ANC. Due to its peculiar circumstances, and the attacks mounted upon it by its adversary, the apartheid government, the ANC established various organs at various times such as the RC, PMC and a security organ NAT which at all material times also operated under its authority, direction and leadership. Due to the circumstances which prevailed in the townships in the early 1990’s as a result of third force activities, the leadership of the ANC established and in some instances encouraged the establishment of SELF DEFENCE UNITS (SDU’s) which played a critical role in the defence of defenceless communities. In the event, and to the extent that any of the activities of the above mentioned institutions and structures, including the SDU’s, could in any manner whatsoever be regarded as the kind of acts or omissions or offences envisaged in the PROMOTION OF NATIONAL UNITY AND RECONCILIATION ACT, we collectively take full responsibility therefore (sic) applying for amnesty in respect thereof." One of the most shocking incidents of terror in South African history occurred on 20 May 1983. A motor car loaded with powerful explosives was detonated at around four o’clock in the afternoon right in front of a Nedbank Square building. (Commonly known as Nedbank Square Maritime House). Altogether 19 people died, including 12 civilians and 7 members of the army. In total 219 people were either severely injured or maimed, of which 217 were civilians and 2 were army members. In his book “The Long Walk to Freedom”, Mr Mandela expressed his regret over the incident but, at the same time, stated that the ANC accepted that incidents of this nature would occur during the armed struggle. Various members of the NEC were not in the country when these attacks were at their fiercest levels and, as such, escaped prosecution. During 1996, Col de Kock was found guilty in the Supreme Court in Pretoria and was sentenced to life plus 80 years imprisonment for the five murders that took place at Nelspruit. In total he received two life sentences plus 212 years imprisonment on six other counts of murder (including that of Japie Maponya), various counts of attempted murder and other charges. With the exception of the murders that took place at Nelspruit, the various amnesty committees found that all the other incidents were committed with a political objective and were, in fact, connected to the conflict of the past. He was refused amnesty on two of these counts as it was felt he had not made a full disclosure. Application for a revision of these cases would unquestionably have succeeded. However, even Adv Hattingh, who appeared on behalf of Col de Kock in all of his amnesty hearings, conceded that there was no possibility of a successful revision in the Nelspruit case. It would therefore not have benefited him to apply for a revision. Sometimes the impression is created that Eugene de Kock is in a fix while the generals are scot-free - but this stems from ignorance of the facts. In the Nelspruit case, Col de Kock tried to implicate General Krappies Engelberecht but, during the criminal and amnesty hearings, conclusive evidence was presented to the effect that his assertions were unfounded. In the Rapport of 10 January 2010, Jacques Pauw insisted, inter alia, that Gen Engelbrecht be brought to trial. It is not clear whether this stems from malice or from an inability to grasp the evidence given during the criminal and amnesty hearings. There isn't a shred of evidence on which Gen Engelbrecht can be prosecuted and we challenge Mr Pauw to demonstrate on what grounds he believes Gen Engelbrecht could be charged. There is no evidence whatsoever that any of the generals was implicated in any of the murders which Col de Kock was found guilty of. In the Maponya case General le Roux was still a colonel and was refused amnesty along with Col de Kock. However, as Mr Malan ably demonstrated in his minority finding, amnesty was wrongly denied in the Maponya case. Mr Pauw and any of his like-minded colleagues can quite safely read Mr Malan’s finding and perhaps get someone with a legal background to explain it to them. Apparently the principle of equality before the law had to give way before the harsh manner in which prosecution of former members of the Security Branch was insisted upon. As any advocate experienced in criminal law will confirm, on the basis of common purpose there exists, purely from what can be seen, damning evidence to prosecute all those members of the NEC who were not granted amnesty. It is striking, however, that no one seems to insist that equality before the law should be maintained. Lately the possible pardoning of Col de Eugene de Kock has been severely criticised and persons, who presumably haven’t the vaguest idea what Afrikaner character is all about, loudly condemned the move on behalf of the Afrikaner. They have even less insight into the disgusting and objectionable conditions Col de Kock was exposed to during his career in the police. On various occasions he was decorated with medals for gallantry. During the negotiation process the members of the Vlakplaas Unit became an embarrassment for Mr de Klerk and his cabinet who were more concerned about winning favour with the ANC at that stage. As a result they had to get rid of the unit. Members of the unit were treated like lepers and this undoubtedly caused much bitterness within their ranks. While negotiations regarding amnesty were in progress and a general amnesty for all was being strongly considered, Judge Goldstone began to investigate cases against Col de Kock and other members of the Security Branch, which were associated with a political objective and committed in the conflict of the past. Gen Johan van der Merwe approached Mr de Klerk and objected to this and called for the investigation to be stopped - but. Mr de Klerk wouldn’t hear of it indicating that it would give the impression that he was trying to cover up the atrocities of the Security Branch. Members of the South African Police were expressly forbidden by Mr de Klerk to investigate similar charges against members of the ANC. Had the principal of equality before the law been adhered to, and law and justice prevailed, the investigation of all such cases would have been put on hold until there was clarity surrounding the matter of amnesty. Had this been the case, Col de Kock would, without doubt, have received a lighter sentence because he could only have been prosecuted for the Nelspruit incident and on the theft charges. The judge would also have had the advantage of knowing material facts uncovered during the amnesty process, which would definitely have set the hearings in a different light. Na aanleiding van Jacques Pauw se ope brief aan president Zuma in Rapport van 10 deser, skryf ek hiermee ook ‘n ope brief aan die president. Mnr Pauw pleit emosioneel daarvoor dat president Zuma moet woordhou om “elkeen van die polisiemanne wat gemoor het, aan die pen te laat ry”. Mnr Pauw het die saak teen die polisie gestel en ek wil graag help om die saak teen ANC-moordenaars te stel. Audi alteram partem. Ek reageer nie op die Eugene de Kok-saga nie en stem met Rapport se mening daaroor saam. Ek aanvaar dat u kennis geneem het van mnr Jacques Pauw se beroep op u in Rapport van 10 deser om woord te hou deur “elkeen van die polisiemanne wat gemoor het, aan die pen te laat ry”. U sou hierdie belofte in Februarie 1990 aan hom in Harare gemaak het. Sou u aan mnr Pauw se oproep gehoor gee en opdrag gee dat vervolgings teen die polisie van die ou Suid-Afrika ingestel word, is die vraag of u dan ook al die ANC-lede wat moord en ander wreedhede gepleeg het, “aan die pen gaan laat ry”. Mnr Pauw is klaarblyklik nie gepla met die moorde en wreedhede wat die ANC gepleeg het nie. As ons dan na 16 jaar nog nie die hoofstuk oor ons apartheidsverlede wil afsluit nie, dan kan u sekerlik in alle billikheid nie net een kant vervolg en die ander met moord laat wegkom nie. Vergun my asseblief die geleentheid om kortliks besonderhede van ANC-moorde en wreedhede te gee, wat tans nog ongestraf is. Volgens Amnesty was die slagoffers hoofsaaklik lede van MK. Die ANC se verduideliking van die wreedhede is dat hulle agente van die Suid-Afrikaanse regering was. Die waarheid is dat baie van hulle inderdaad bona fide MK-lede was wat bloot oor toestande gekla en vrae oor ANC-beleid geopper het. “In either case,” bevind Amnesty, “torture and execution of prisoners cannot be justified”. Amnesty beskryf die aaklige omstandighede van die ANC-aangehoudenes in die ANC-kampe. Aangehoudenes kon hulself en hul klere slegs eenkeer in ‘n aantal weke was. Net een drom water is gebruik en is van sel tot sel aangestuur sodat meeste selle ‘n drom “water” gekry het wat dik van die vuil was. Daar was geen kans om komberse te was nie, wat spoedig met luise besmet was. Sommige aangehoudenes het gekla dat hulle slegs een koppie drinkwater per dag gekry het. Siektes, soos malaria en maagkoors, het uitgebreek en daar was geen geneesheer beskikbaar nie en eerstehulp-personeel was in die algemeen onsimpatiek en het selfs aangehoudenes aangerand. Marteling en wrede aanrandings het algemeen voorgekom. ​MK-lede wat in Angola aangehou was, het verskeie kere in opstand gekom. In 1984 is ‘n opstand in die Pango-kamp onderdruk; die opstandelinge is aan bome vasgemaak; aangerand; geslaan en gesmelte plastiek is op hul naakte liggame gedrup. Sewe is aangekla en deur ‘n ANC-sekuriteitsbeamte verhoor; sonder regverteenwoordiging; is skuldig bevind en doodgeskiet. In Nova Instalacao-kamp is aangehoudenes in donker, klam selle aangehou sonder komberse of matrasse en moes op betonvloere slaap. Toilette was geblokkeer en urine en ontlasting het in die selle ingevloei. Kos was bitter skaars, siektes volop en mediese hulp onverkrygbaar. Selby Msimang en Ben Thibane het gesterf. Marteling het veral ook in die Revolutionary Council-gebou in Lusaka plaasgevind met knuppels, draad, tuinslange, doringdraad, staalpype, fietskettings, lippe is met brandende sigarette gebrand, testikels is met tange geknyp en elektriese skokke is toegedien. Soms is voetsole geslaan en sommige is in watergevulde selle aangehou. Sommige gevangenes is gedwing om op rooimier-neste te sit. Thabo Twala is in Maart 1990 in “Sun City”-kamp in Lusaka doodgeslaan. Senior MK-bevelvoerder Thami Zulu is in November 1989 dood nadat hy 14 maande lank aangehou is. Mzwai Piliso, ‘n ANC-sekuriteitshoof, het erken dat gevangenes aangerand en op die voetsole geslaan is. Amnesty se verslag bevat volle besonderhede van die ANC-wreedhede. ​Daar is ook die boek MBOKODO van Mwezi Twala en Ed Benard wat in 1994 verkyn het. Twala is self in ANC-kampe aangehou en vertel van sy onmenslike ondervindings. President Mandela het in 1991 ‘n Kommissie van Ondersoek aangestel om die beweerde wanpraktyke te ondersoek. Die Kommissie bevind dat daar wyd verspreide martelings en mishandling was en dat die gebeure nie versinsels van ANC-vyande is nie. Die Kommissie se beperkte mandaat het verhoed dat bevindings oor moord en “verdwynings” gemaak kon word. Sommige getuies is wreed aangetas, gebroke en hul lewens is verwoes deur armoede, onderbroke skoolgaan en ongeskiktheid. Die Kommissie maak die belangrike aanbeveling dat ‘n werklik onafhanklike ondersoek ingestel word om die moorde en “verdwynings” te ondersoek, wat natuurlik nog nooit gebeur het nie. Die Kommissie het ‘n vertroulike lys name aan president Mandela gegee van persone wat na bewering skuldig aan die wandade was, maar sê die lys moenie tot die genoemdes beperk word nie. Die ANC het nie die name bekend gemaak nie. Geagte president, dan is daar die voorlegging wat mnr FW de Klerk in 1996 aan die WVK gemaak het waarin hy onder andere sê 505 mense is wreed met die sogenaamde halssnoer-metode om die lewens gebring. 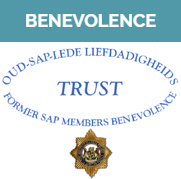 Ek doen met eerbied aan die hand, mnr die president, dat as u sou besluit om mnr Pauw se advies te volg, u dan almal wat oortree het, laat vervolg. Ook die ANC-skuldiges. U sien, niemand is nog ooit oor die moorde en wreedhede in die ANC-kampe vervolg nie. Niemand is ook nog ooit vir die onbeskryflik aaklige halssnoer-moorde vervolg nie. 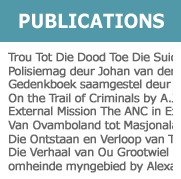 Ten slotte, mnr die president, anders as mnr Pauw, doen ek ‘n beroep op u om die boek oor die verlede te sluit. Laat ons eerder die item “versoening” die ereplek heel bo aan ons sakelys gee.